Greetings families, and welcome to Holgate Middle/High School. My name is Keith Robinson and I will be serving you as the 6-12 Principal. I am very excited to be supporting you and your students for the 2018-2019 school year! We are a small school with a great sense of community and pride. Holgate Middle/High School serves approximately 270 students in grades 6 – 12 with an average class size of 14 students. Our staff members dedicate themselves every day to serving our students and community in order to provide an excellent educational experience. Our Middle/High School offers multiple opportunities for learning from the traditional classroom, online elective options, College Credit Plus, and partnering with Four County Career Center for vocational opportunities. We are pleased to offer multiple extra-curricular and athletic activities as well. We encourage our students to participate in student organizations, fine arts, as well as our athletic teams. At Holgate, we strive to keep you informed and want you to stay involved in your child’s education. The more we are able to collaborate and work together, the better the educational experience will be for our students. On our website parents can access teacher emails and our calendar of school and athletic events. Our website is updated regularly. Morning announcements are emailed daily. If you would like to start receiving the announcements by email, please send an email to ljones@holgateschools.org with “subscribe morning announcements” in the subject line. 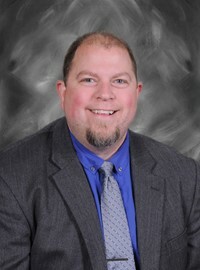 Our school Twitter account, @mshs_principal, is used to spotlight many of our students’ accomplishments. I am honored to have this position and believe that I am here to serve Holgate students, staff and community. I want all stakeholders to feel safe and supported in our Middle/High School. My door is always open. Please feel free to contact me at any time.